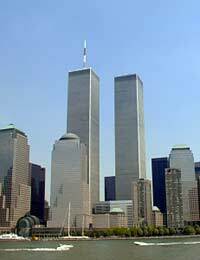 The September 11, 2001 attack on the World Trade Center (WTC) in New York left thousands of people dead and a nation faced with the challenge of identifying the many people killed. Given the enormous number of victims, the state of their remains and the lengthy recovery by rescue workers, the effort was an intense one with a high level of pressure for forensic scientists in the United States. Forensic scientists had the difficulty of identifying victims with samples that were degraded or damaged - requiring more advanced and sophisticated forms of DNA analysis to complete the task in a timely and accurate manner. Relatives and friends of those people in the WTC at the time of the attack had an exhausting and anxious wait. As such, providing information as quickly as possible was a key goal of the response to the attacks. To identify the many victims, however, newer DNA analysis techniques used were extremely helpful to the recovery and identification effort. One technique involved a reduction in the size of a DNA fragment. Traditional DNA analysis methods have used techniques such as short tandem repeat (STR) analysis to analyse fragments of DNA from thirteen locations in DNA that differ among humans. In a fragment, there are base pairs of roughly two hundred to four hundred pairs that constitute a person's genetic fingerprint. In this relatively newer approach, the concept is somewhat of a modified version of STR analysis that involves smaller STR assays. The DNA fragments are still from those same thirteen areas but they are much smaller and have approximately twenty-five to one hundred and ninety base pairs, although this varies by the location itself. The benefit of the smaller size is that a DNA sample that has suffered from damage or degradation will still have pieces in the thirteen locations that are usable and can be analysed. In this newer type of DNA analysis, a scientist will use smaller fragments of DNA, which then bind to certain sequences of base pairs. These small fragments are also known as DNA primers. The primers let scientists take out some of the DNA fragments and then copy the fragments to provide a sample of a sufficiently large size. One challenge related to the September 11 attacks was that the scale of recovery and identification was one that the country simply was not appropriately prepared to handle at that time. With the issue of time-sensitivity and the need for rapid, effective identification of victims, new forms of technology that provide DNA analysis are paramount to the success of forensic scientists. The massive impact has since led to new procedures and a reevaluation of existing policies for laboratory analysis. Improved assessment of victim magnitude, location of the necessary resources, identification of kinship samples and more open lines of communication between the parties involved are all aspects of a response effort that have been examined and improved. It is hoped that such a terrible attack never occurs again but if the country is faced with continued attacks or similar wide-scale disasters, the response is likely to be a stronger, more effective one.